Is PrizeReactor a Scam? Read 3 Reviews! Prizes: Cash & vouchers, electronics & gadgets, food & drink, etc. PrizeReactor Exposed — Who Wants to Enter Free Online Competitions? Yet another place for UK residents to go play and win free prizes, Prize Reactor looks like a pretty clean site to win. There doesn’t seem to be a lot to do to play except put in your personal details and go for the prize. It’s amazing the amount of prize games that are popping up for people to win things free. Ah, but is it free. Looking at Prize Reactor, we wondered how much you count your time in reading through spam and other marketing material. It doesn’t look like this is a survey site or that you have to write anything. It looks like all they want is your attention and personal details. That’s your cost to play. 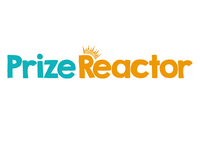 Prize Reactor is an online game site to win prizes. They use this as a marketing tool to build data lists for their sponsors and other partners, and advertise products. It’s a fast track to getting information – your information. At the same time, you do have a chance of winning prizes. As most prize games, people have to be 18 years or older. There doesn’t seem to be any restrictions (or none we could find) on where you can play from. Well, that is until you get into the registration part on any game and it comes up with the information to enter a UK address. We did ask the question to their customer service – can anyone play here – but we’re still waiting for an answer. They do have a sister site at PrizeReactor.com.au for those who want to play in Australia. What Are the Prizes Offered by PrizeReactor? Prizes offered include cash & prize vouchers for places like Argos, M&S and John Lewis. Electronic & gadget prizes includes Ultimate Lego Collection, GoPro Hero 5 Black and iPhone7. Food & drink prizes includes cash vouchers for Lidl, Aldi and Asda. Home & life style prizes includes cash vouchers for Tesco, Zara (wow), and DFS or Sofology. I like the fact they post an “ending soon” notice so you know something is going to close soon. There aren’t any real mega wins, but some nice prizes. There is no real information on who owns Prize Reactor except a description in their “About” that says they are “a team in Yorkshire”. In their terms and conditions, we did finally find the company WRM Media who is the “promoter”. WRM is a “global email marketing and lead generation solutions” company. People who work for WRM Media are also not allowed to play here. The first and most important thing is that you don’t have to purchase anything to enter these competitions nor are you charged anything. They are free. The actual prize might be different from what is advertised, but the value will be the same. There are individual dates on each of the competitions for when the prize draw closes. There is a “prize calendar” you can click on to see the schedule of when prize games close. People have fourteen days to claim their prize. Prizes may be substituted for cash at the promoter’s discretion. There is no information on how you receive your prize and/or how long it takes to get it. Oh – hang on. In their Instant win games, you only have seven days to collect your prize. There were a bunch of complaints on some sites, blogging about problems people had when clicking they won and then being asked for money. Funny, there weren’t a lot of complaints on receiving spam and other info, but then again, they do give you the choice to tick the box if you want to receive things. There is also a page you can go to, to unsubscribe which is nice to see. The only thing is, in their terms and conditions they say “you consent to us sending you occasional special offers & promotions- from us, WRM Media, our sponsors and specially selected third parties, via email, telephone, SMS and postal.” So I guess you are going to receive things. Is PrizeReactor.com Scam or Legit? There is no reason (at this point) to doubt that Prize Reactor is a legit site as there aren’t any complaints saying “I didn’t get my prize”. They do list the winners on their “Winners” page. It would be interesting to see just how much spam and advertising does come through though at least there is an ‘opt out function’. If you live in the UK (we think) and want to try and win a prize or two, this does seem like a good place to play. Unlike other sites, you don’t seem to have to view a bunch of videos, read about products or complete surveys before you actually get to win. Then again, I don’t live in the UK so couldn’t give it a try. This site gets a thumbs up for now. If you are playing here, your feedback is important to us so please let us know how you get on – especially if you win. I signed up to prizereactor a while ago and entered a few competitions, I didn’t get any marketing calls or mail afterwards. I did however get an email the following week to tell me I had won the £50 Friday competition. I replied to the email with my full name and address and received a cheque 8 days later. I’ve signed up to a few of these prize websites over the years and this is my preferred one. Not just because I won, but because of the lack of marketing calls afterwards. en.emailfake.com/griuc.schule/ etc. now when you look at this site things get really interesting as a list of all those scam emails that get sent out seem to be all here in one place. thanks for taking the time to read.